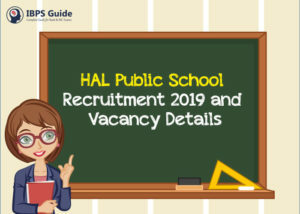 HAL Education Committee is recruiting candidates for filling up the vacancies in HAL New Public School in Bangalore. The vacancy is for the teaching posts for various subjects and the appointment will take place for a tenure of 2 years. The details about the vacant posts and the eligibility details can be found below. PRT English 2 Graduation with English as one of the main subjects in 3-year Graduation degree and B.Ed. with English as one of the training methods. PRT Hindi 1 Graduation with Hindi as one of the main subjects in 3-year Graduation degree and B.Ed. with Hindi as one of the training methods. PRT Maths 1 Graduation with Maths as one of the main subjects in 3-year Graduation degree and B.Ed. with Maths as one of the training methods. Candidates applying for any of the vacant posts mentioned above shall be of maximum 45 years age as on 01.01.2019. The application can only be done in the offline mode. All candidates applying for the vacant posts must have secured 50% aggregate in SSLC, PUC, Graduation, and B.Ed.